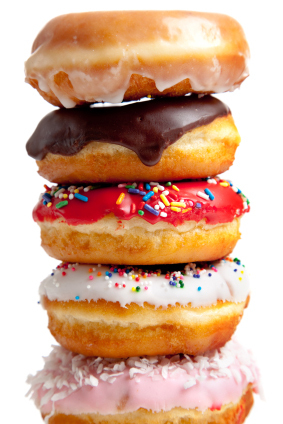 Ummm, yes we realize Mondays can be THE WORST. But, alas, it’s here again so why not chat about something that will make you all warm and fuzzy inside? OK, it’s happening. 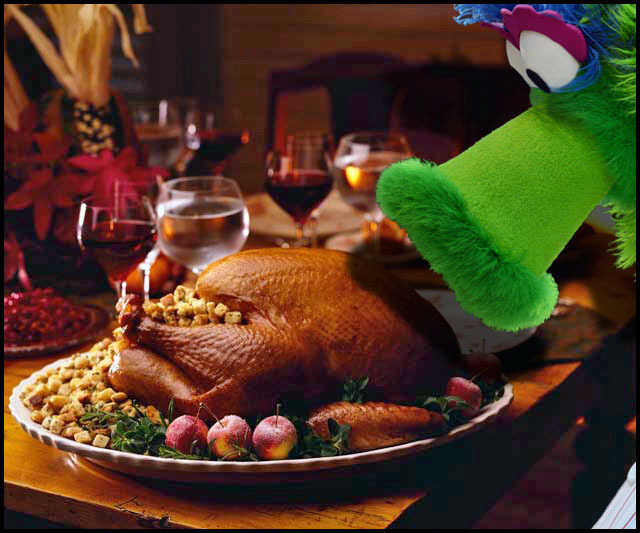 Let’s talk about the Phillies Season of Giving! 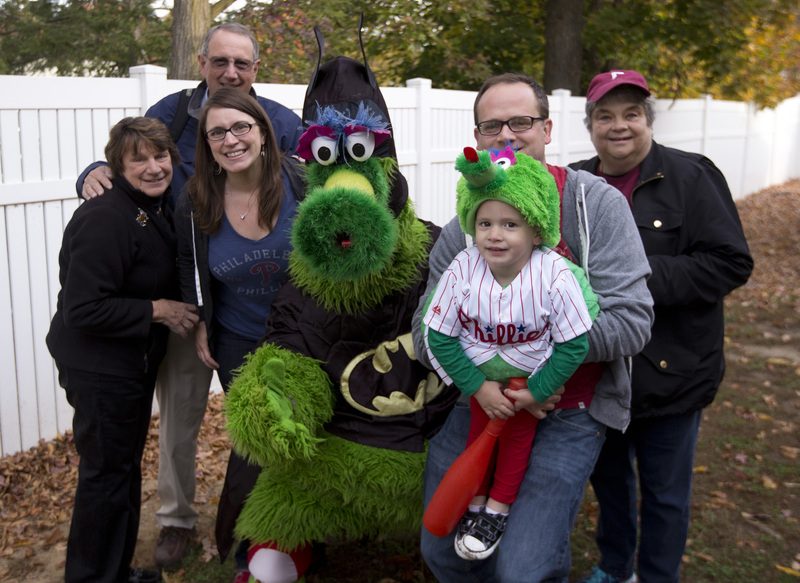 Yes, we’re gearing up for so many great events to make the Delaware Valley a better place for all. Giving to others makes you feel good, right? We feel that way too. 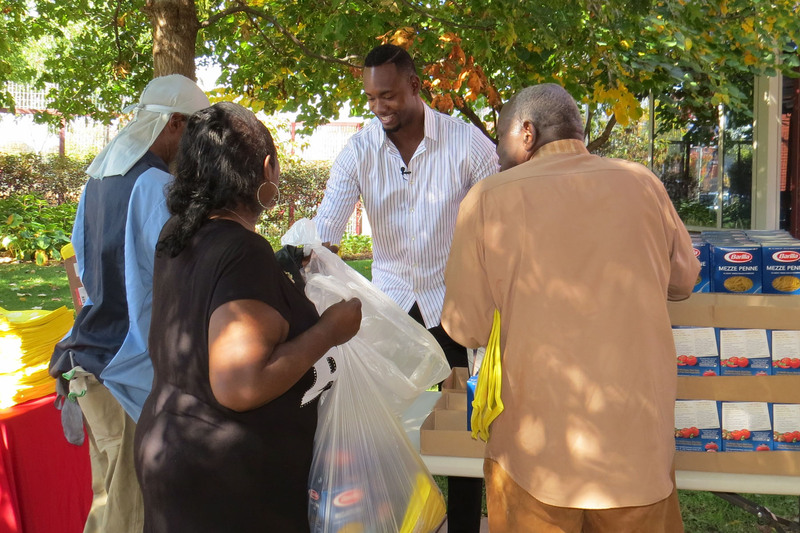 Leading off our season during National Hunger Awareness Month, Phillies outfielder Domonic Brown, along with his mother, Pastor Rosemary Woods and Bibleway International, Inc., recently hosted a food donation at Citizens Bank Park for those in the Delaware Valley who were in need. 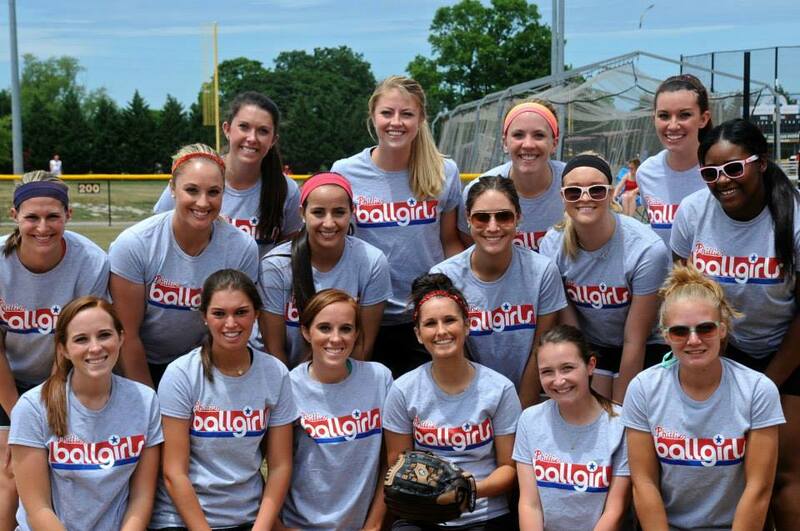 And thanks to our good friends at ShopRite, which donated about 6,000 pounds of food, it was an awesome event! 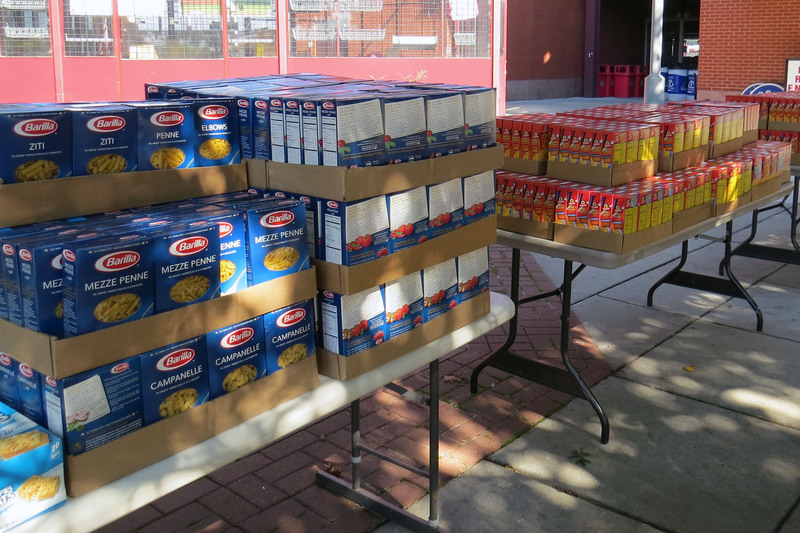 Various organizations who work with the homeless, veterans and other groups throughout the local area as well as individuals stopped by for canned goods, pasta and other non-perishable items to stock up their pantries. 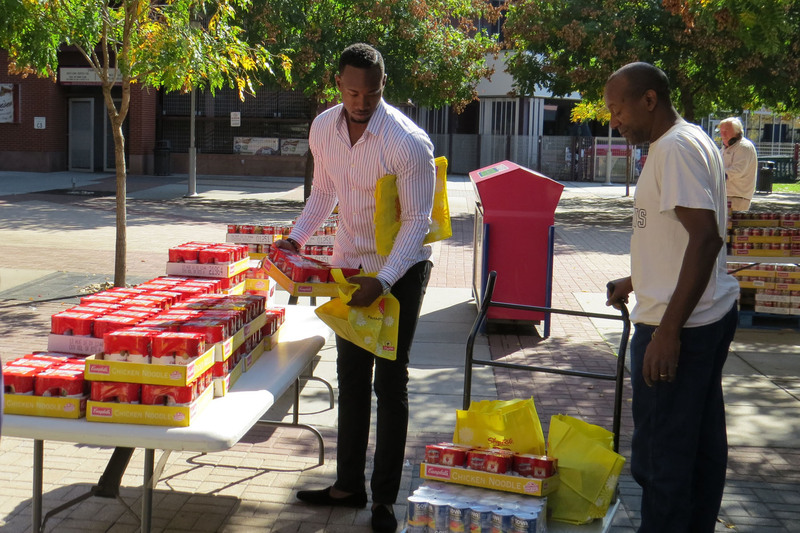 Dom took this time to give back to a community that has given so much to him and we were so excited to help out too. He also walked around with guests and helped them load carts with cases of food. He’s so strong. Prefer a video recap? Well, alright. 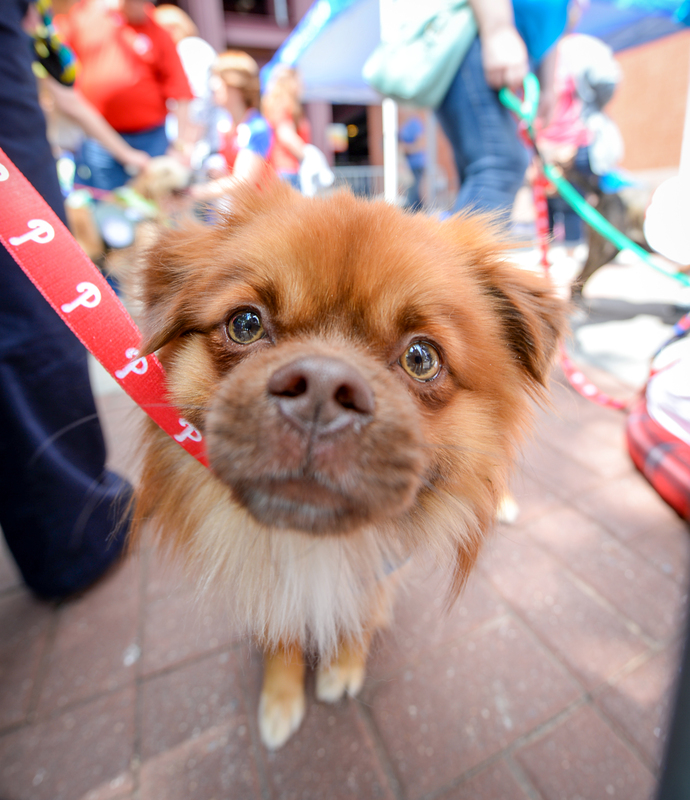 We’re just getting started with The Phillies Season of Giving. Stay tuned for upcoming events as we spend the offseason making our community a better place, especially during the holidays when help is needed most. We’re switching things up and moving our weekly posts to Monday. Yessss, change is good! So, tell a friend! 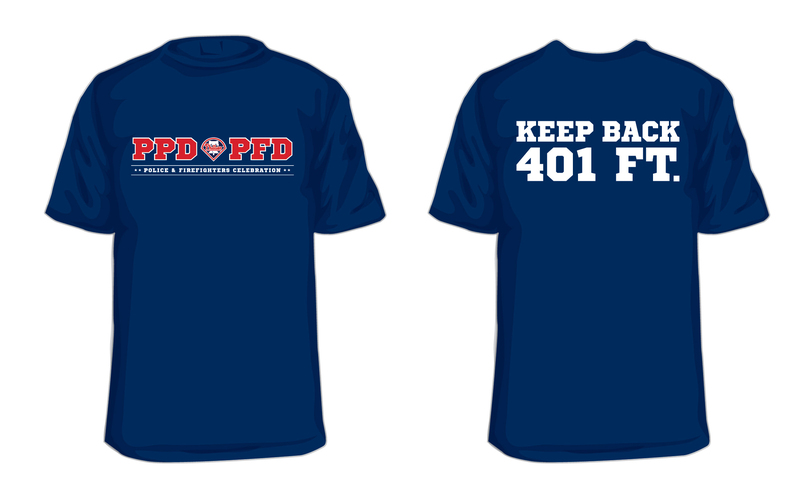 Also, +Follow us and sign up for email alerts while you’re at it (FYI: We love our email crew). 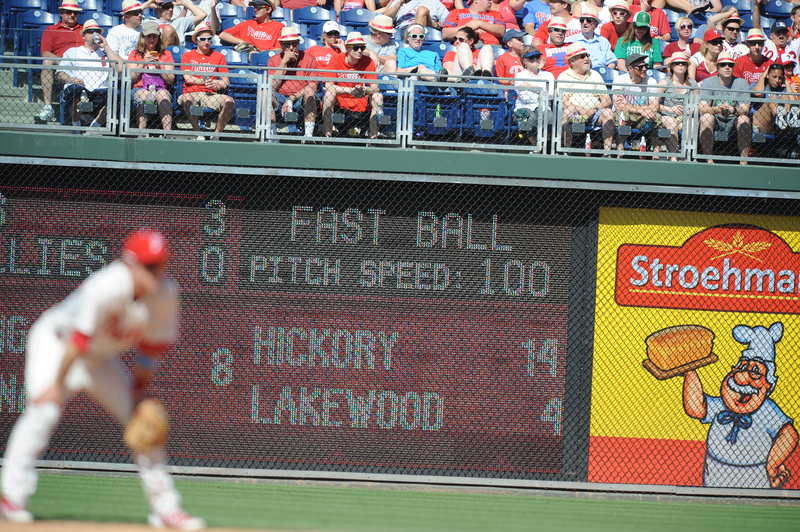 Final 3 innings on this countdown of the Phils’ 2014 season. What’s in store for your reading eyes? Just a few more standout moments made by a few good men. Really active on Twitter and Instagram? The southpaw hit the century mark with 100 strikeouts after facing 2 batters and sending them straight back to the dugout in the final game of the season. 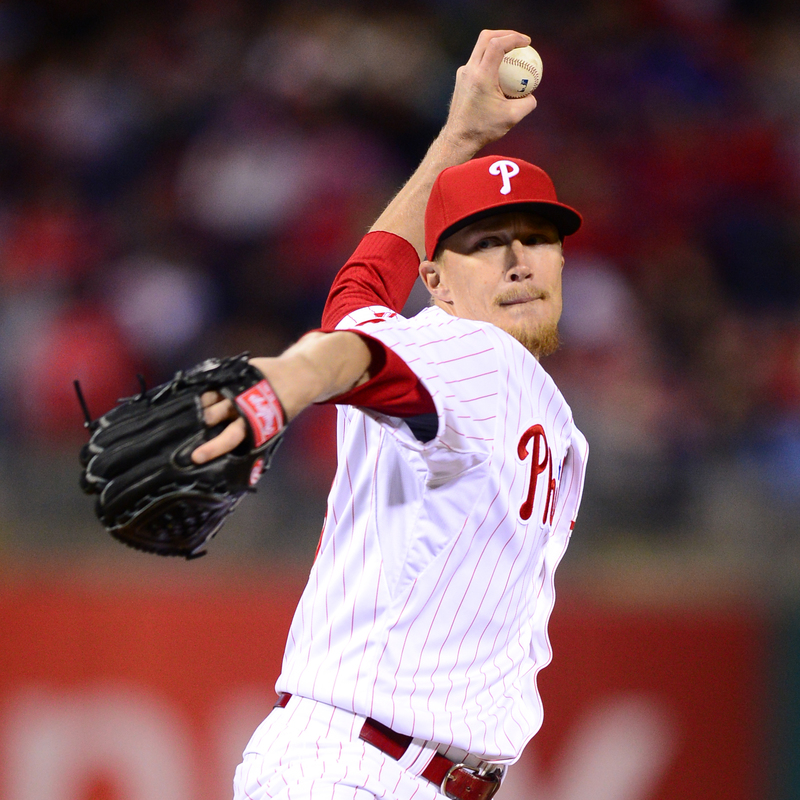 His career-high was the most by a Phillies reliever since Al Holland struck out 100 batters in 1983. Nah, not the flamethrowing right-hander Ken Giles, who had one of the greatest seasons by a rookie reliever – in Phillies franchise history. He made his Major League debut on June 12th and posted a 1.18 ERA through the end of the season, with 6 earned runs and 45.2 innings pitched. Good times, Kenny. During the 2014 season, he ranked 3rd in WHIP (0.79), strikeout to walk ratio (5.82), opponents slugging (.230), OBP (.220) and OPS (.450). He also was 4th in hits per 9.0 innings (4.93) and 5th in opponents AVG (.164) and strikeouts per 9.0 innings (12.61). 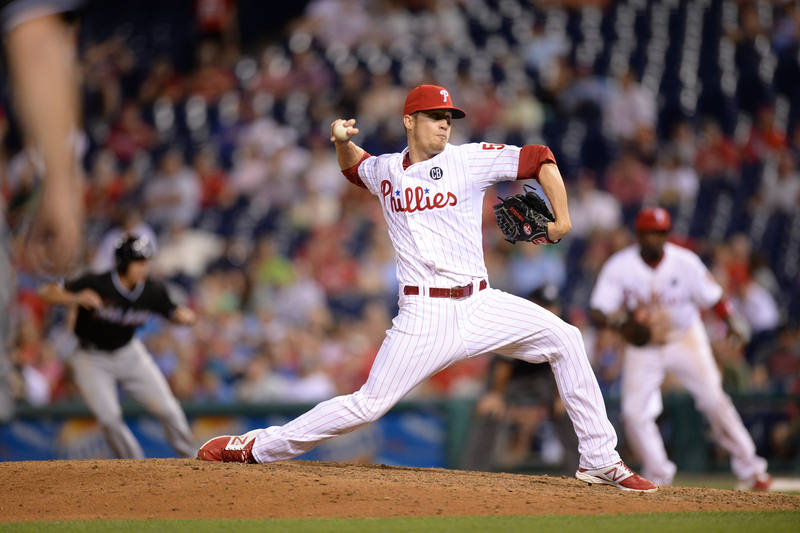 Of Giles’ 44 appearances, 39 of them were scoreless. Talk about holding down those late innings. He struck out 64 of the 166 batters he faced in 2014, which was the 2nd-best SO rate among all National League relievers, trailing only Cincinatti’s Aroldis Chapman. Giles also went through some nice stretches outside of team stretch at BP. He posted 3 scoreless streaks of 9.0 or more innings and including a stretch where he retired 25 consecutive batters. OK, that’s a lot of info if you need to take a second to digest it. Good? Good. 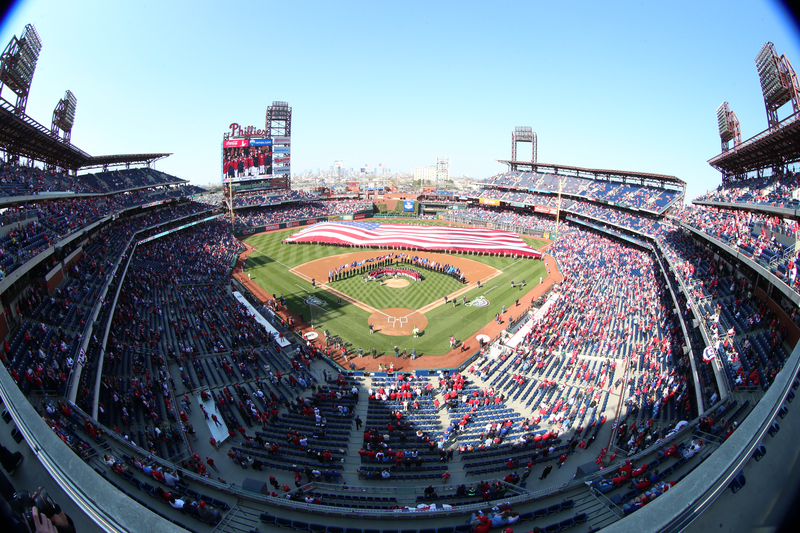 Because we’re here – the final inning of this countdown. 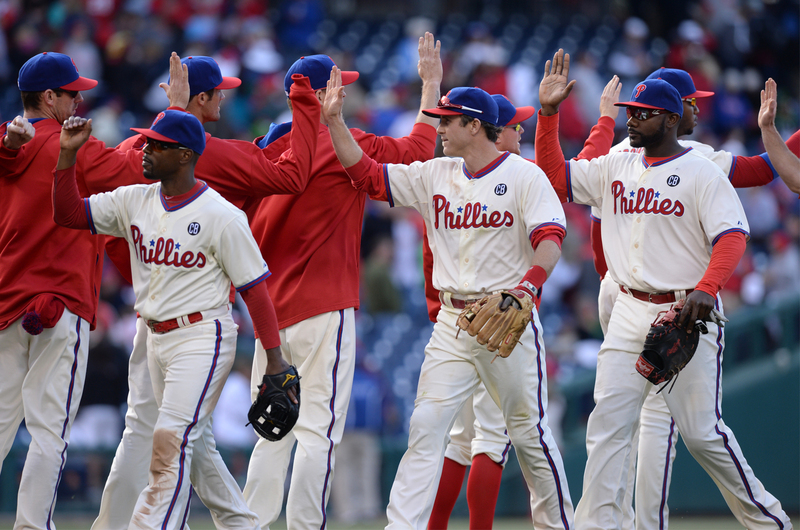 The Phillies bullpen worked it out in 2014. 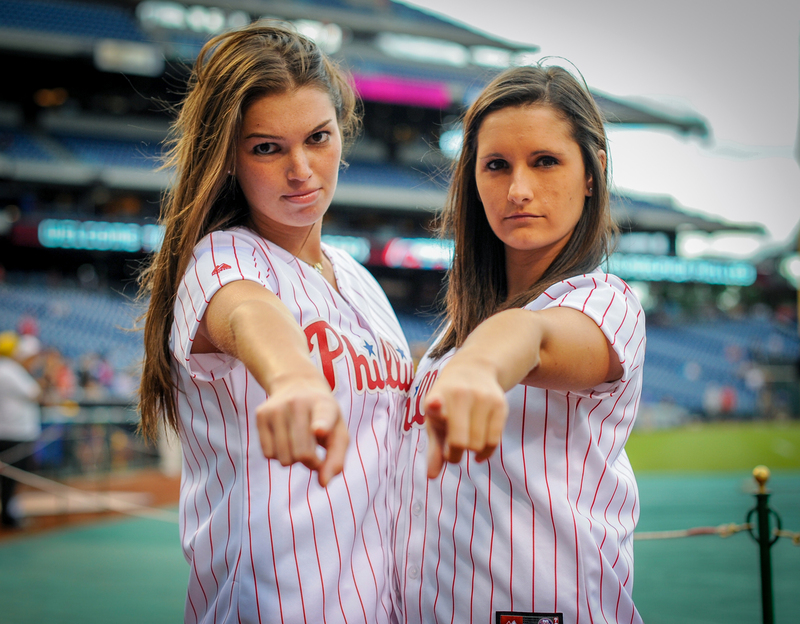 Like a gang of underdog Rocky Balboa’s, they started from the bottom, beginning the season with the worst relievers ERA (4.95) in the NL over their first 36 games to posting a Major League-best 2.41 ERA (37 ER, 138.1 IP in 50 games) from August 5th through the end of the season. 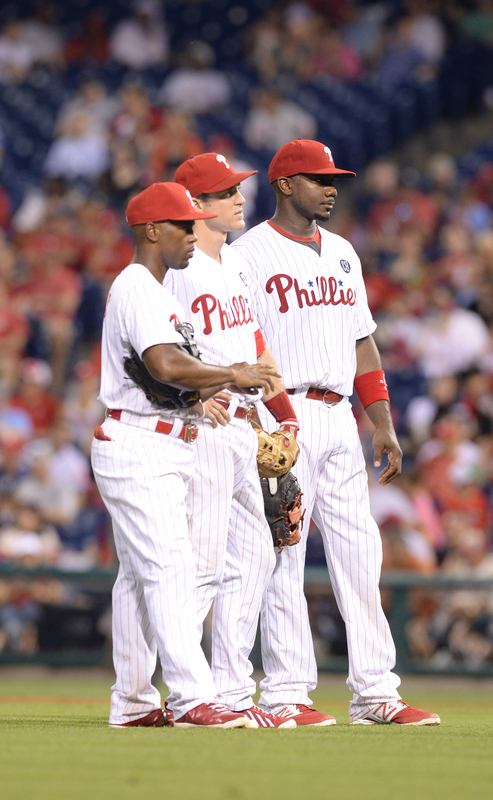 During that final stretch Phillies relievers ranked 1st in opponents slugging % (.297) and OPS (.585), 2nd in opp. AVG (.213) and 3rd in opp. OBP (.288) and SO/9.0 IP (9.69). 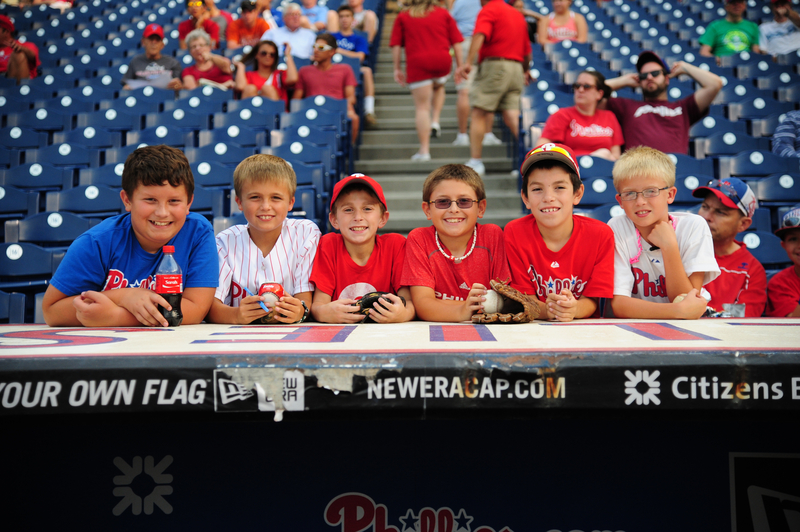 One more fun fact about this group: They also allowed the 2nd-fewest total base runners over that span (162). So thanks fellas. 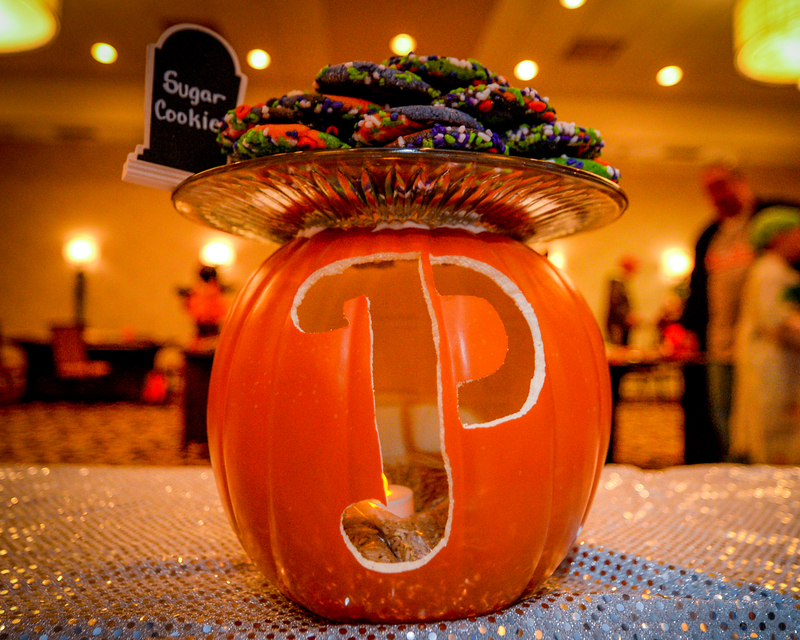 Phinal Note: Halloween Costume Ready? Awesome. 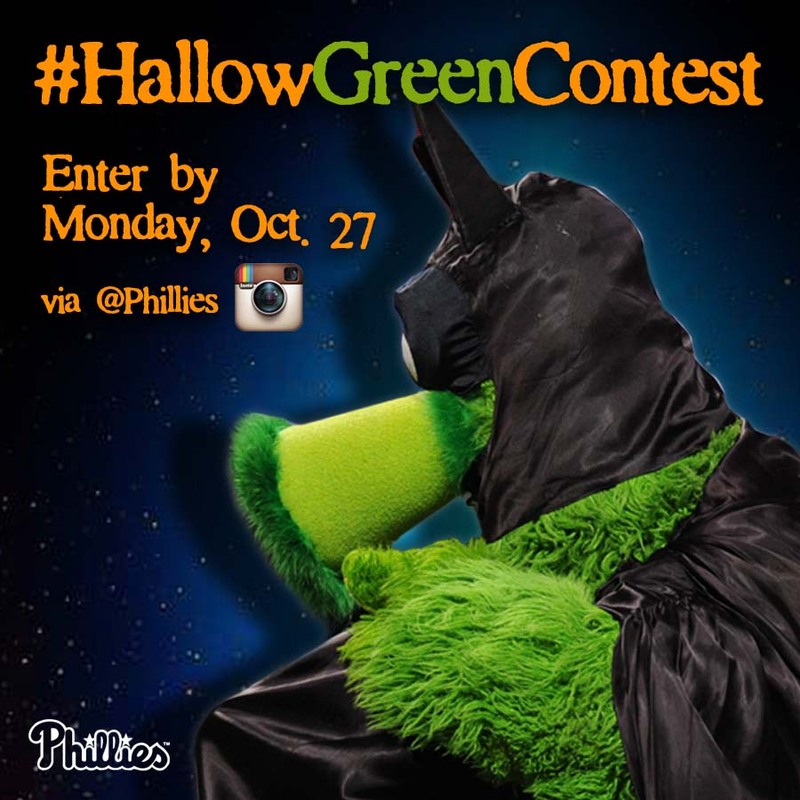 Then you should definitely enter our Phillies #HallowGreenContest! 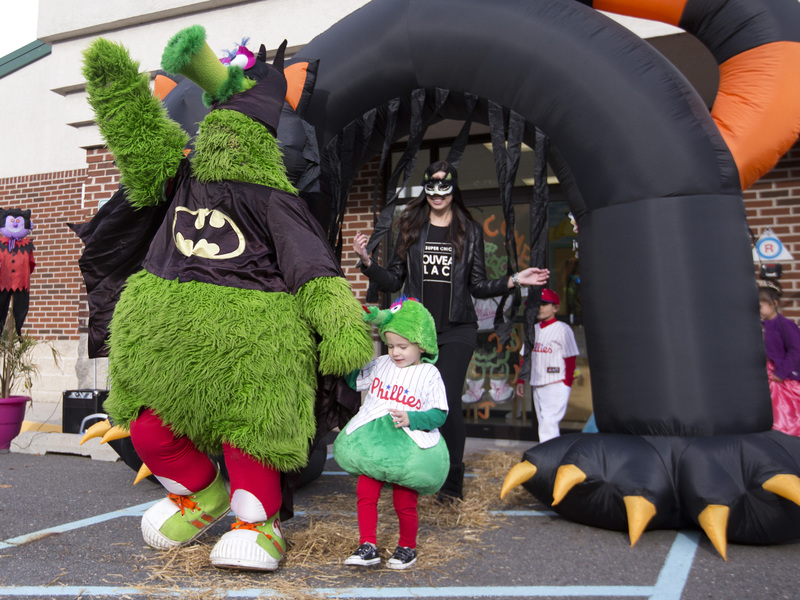 You could win a visit from the Phanatic on Halloween Day! 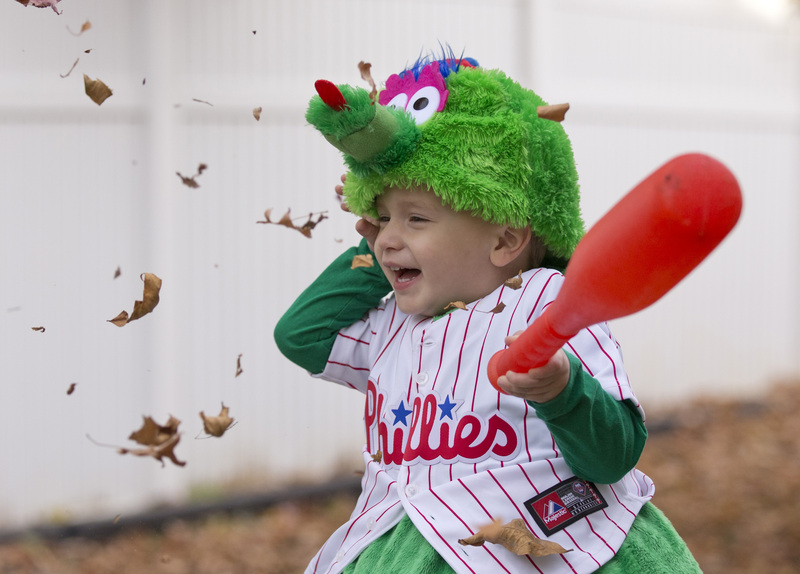 For more details, visit phillies.com/hallowgreen. 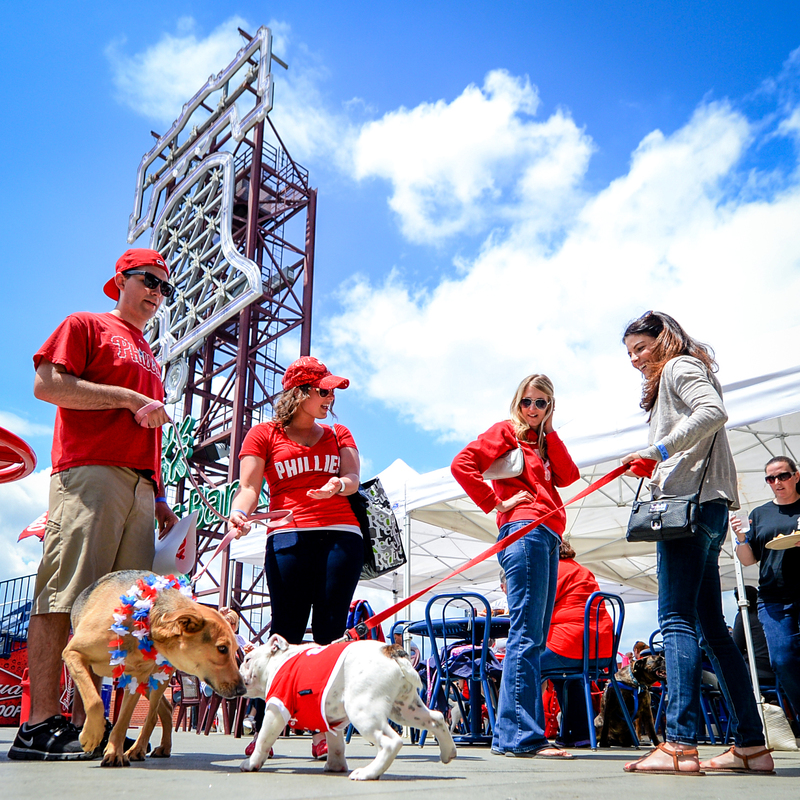 October is movin’ right along and so are we in the next installment of our Phillies top moments countdown. Aaaaaand go! 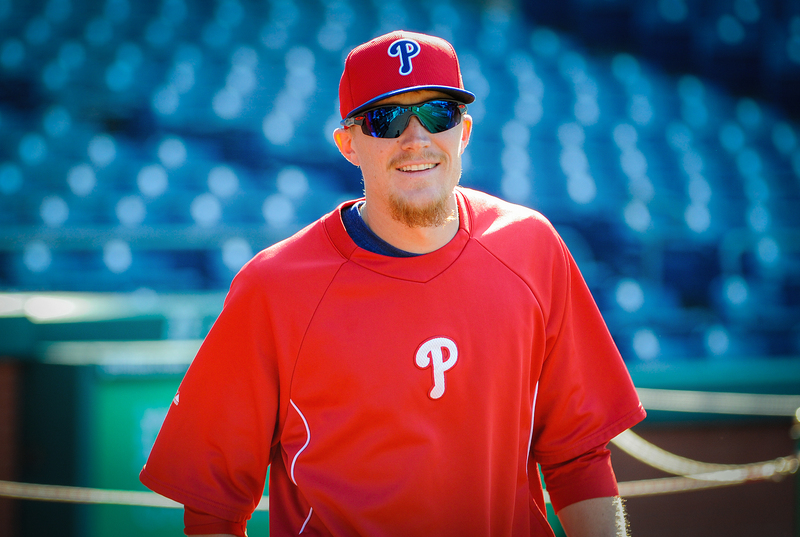 He’s a Dad, husband, Phils’ second baseman and The Man, according to the great HK and many Phillies fans alike. This year he was also an All-Star for the 6th time. Chase won the fan elections each season from 2006-10 and tallied over 2.8 million votes. Not too shabby. 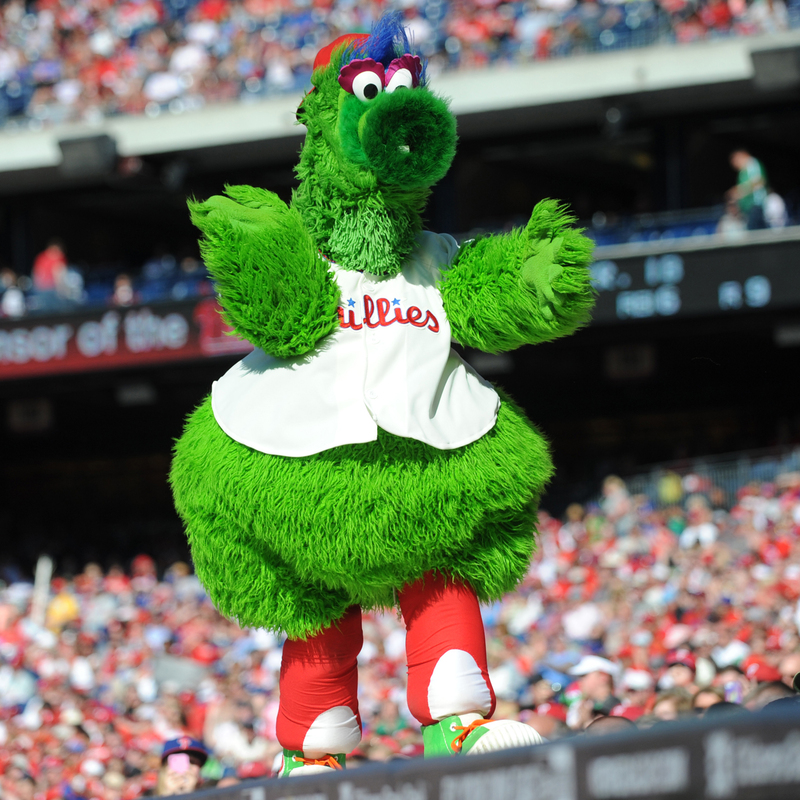 The Phillie with more All-Star nods? 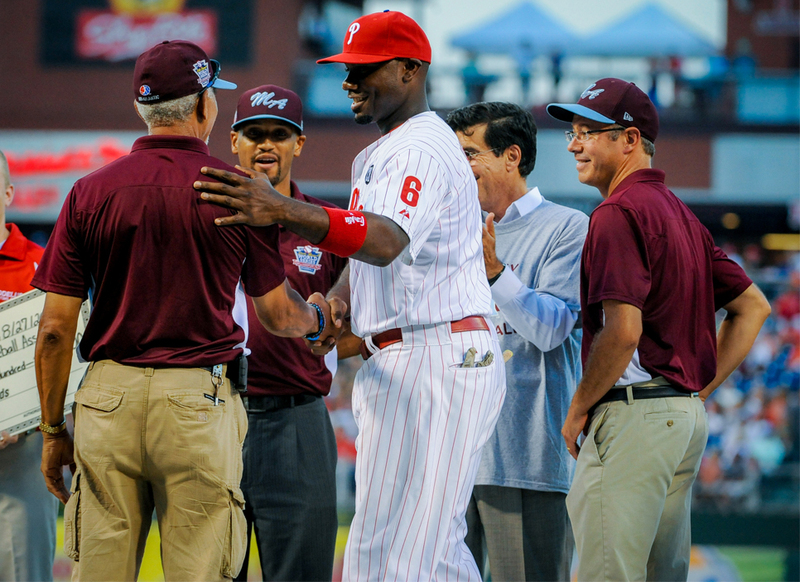 Michael Jack Schmidt with 9 – the most in Phillies history. 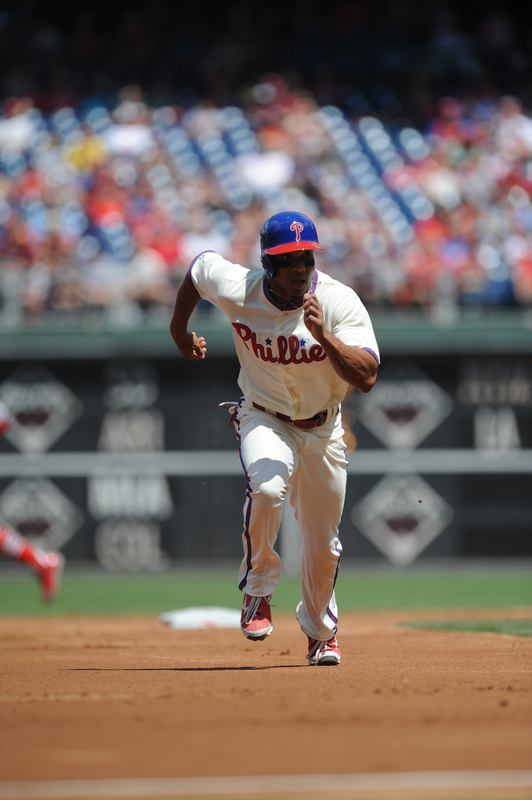 That Ben Revere. Not only did he let fans pick his walk-up music with #RevereTheMusic – and Benny and the Jets, no less – but he also hit pretty well this year too. 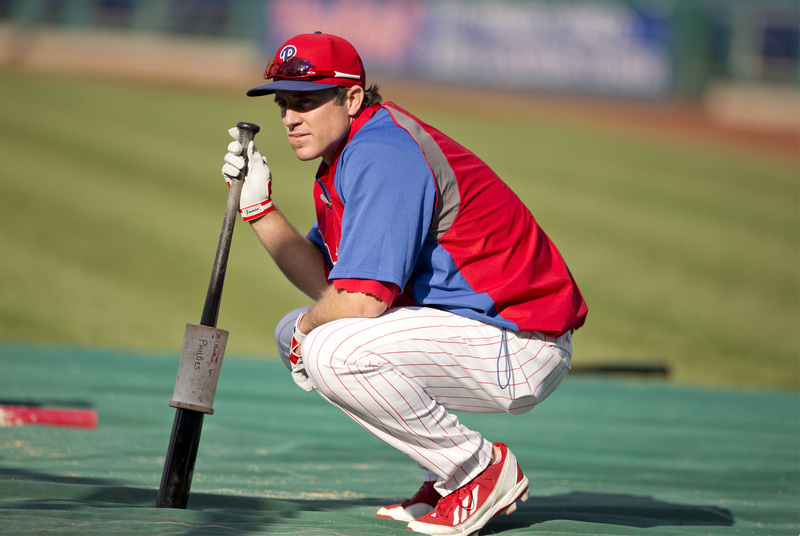 He finished the season with 184 hits – tied for most in the National League with the Nationals’ Denard Span. He also finished 5th in the NL batting title race with a .306 average. 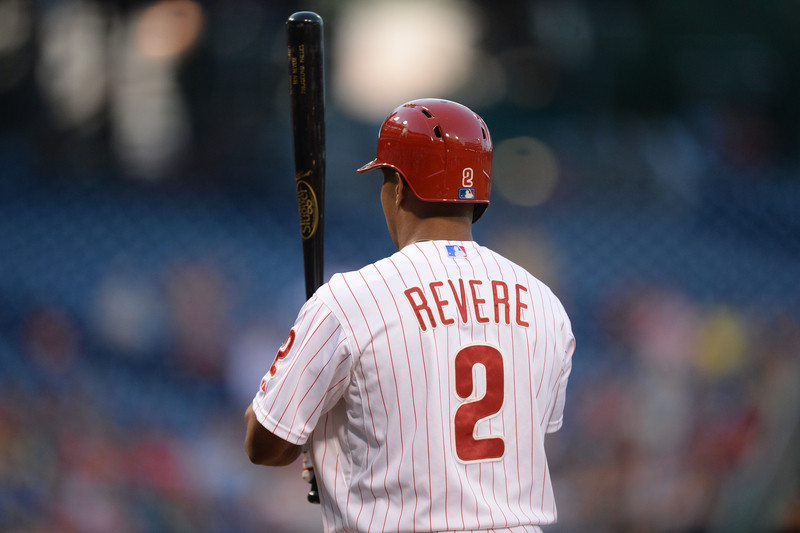 Want more Revere facts? OK. 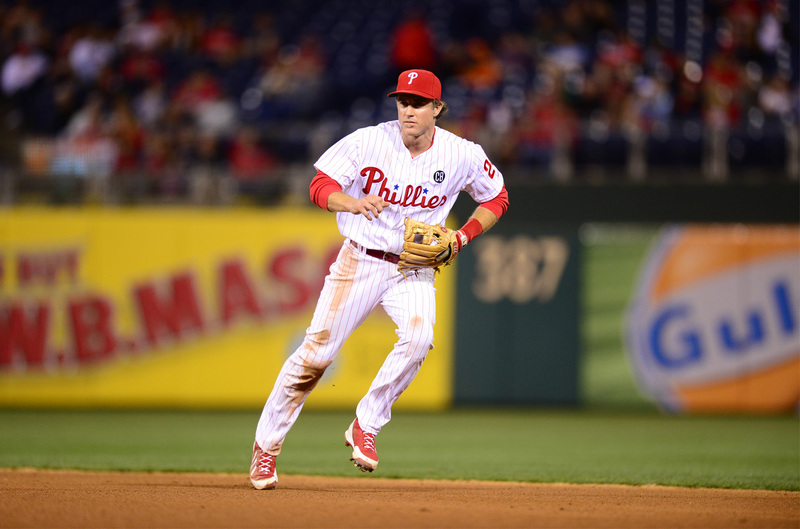 He stole a career-high 49 bases – that was 4th-most in the majors and most by a Phillie in a single season since since Juan Samuel stole 53 bags in ’85. Pretty good. 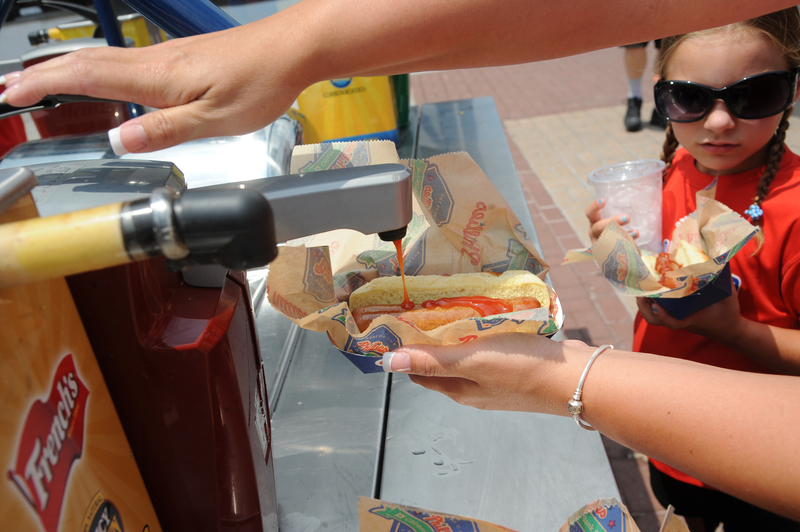 6th Inning: Can I make that a Combo Meal, please? 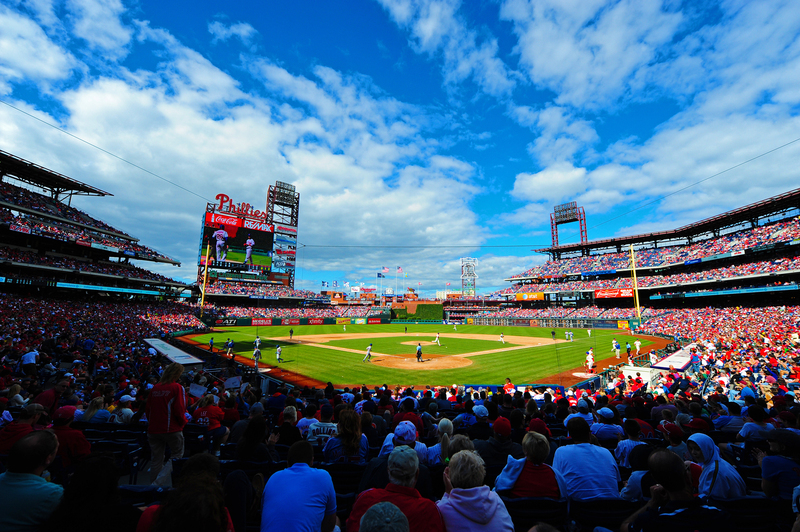 On September 1, 2014, the Phillies recorded their first combined no-hitter and the 11th in Major League history in Atlanta. That was also during the 132nd season and 20,105th game of the franchise. 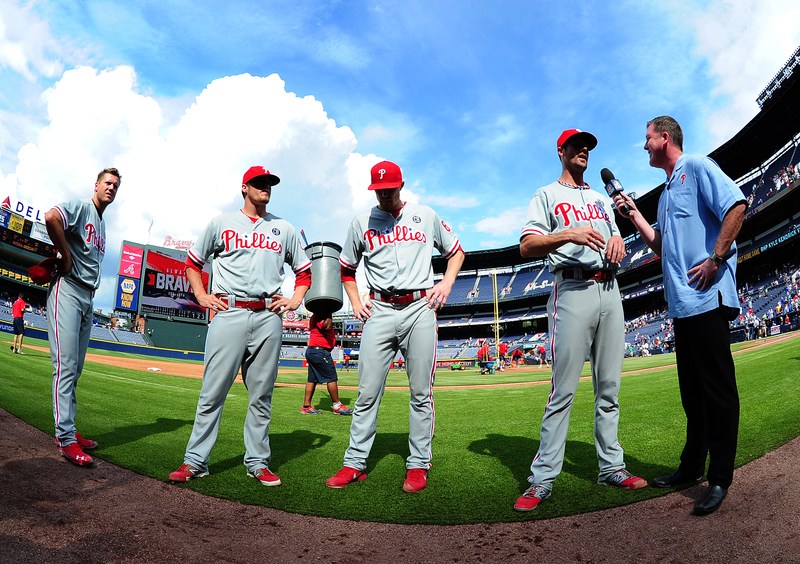 Thanks to Cole Hamels, Jake Diekman, Ken Giles and Jonathan Papelbon – history was made. 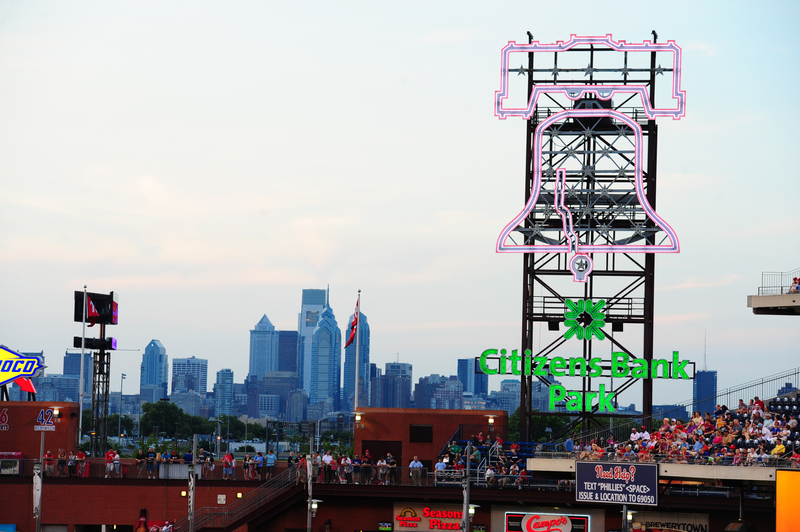 Hamels threw 6 innings before passing the baton to relievers Diekman, Giles and Papelbon who each pitched a perfect inning to close out the 12th no-hitter in Phillies franchise history and 284th overall in Major League history. Yeah, that happened. But let’s give the guy behind the plate some props too. 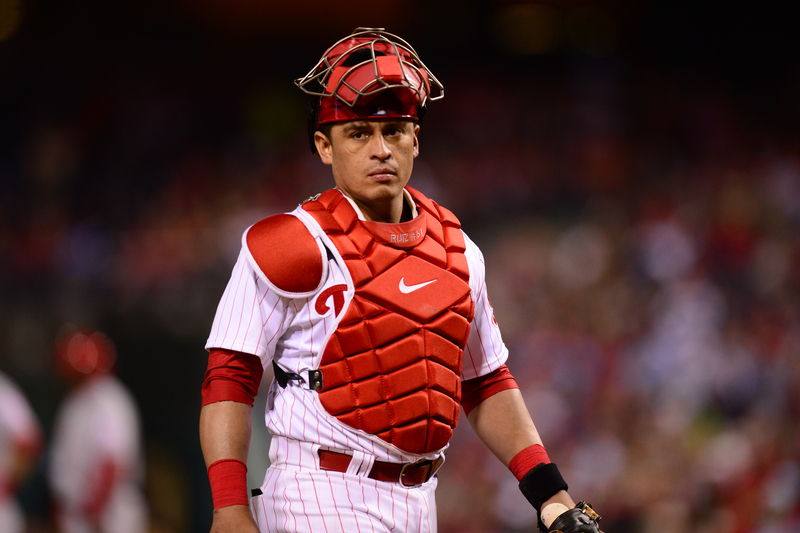 Chooch caught the combined no-no. 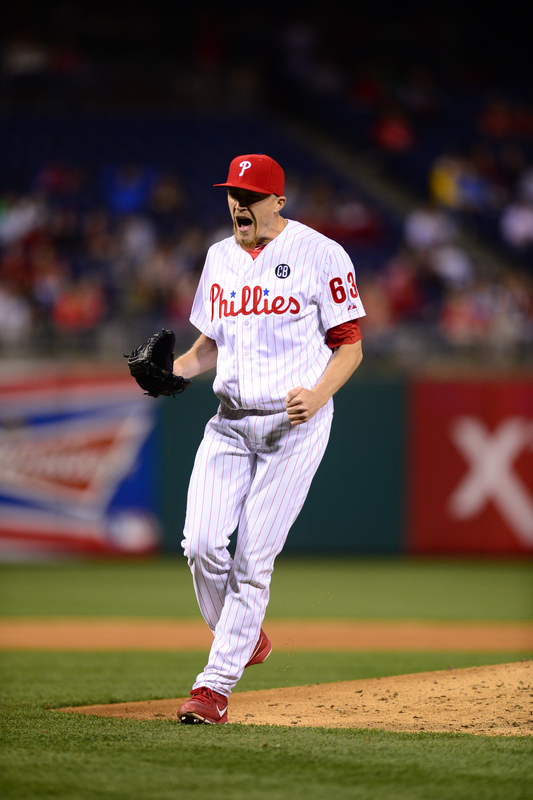 You may recall that he was also the guy who caught both of Roy Halladay’s no-hitters in 2010. His 3 no-hitters caught, in regular season and playoffs, are tied for 2nd-most in Major League history. Woah. 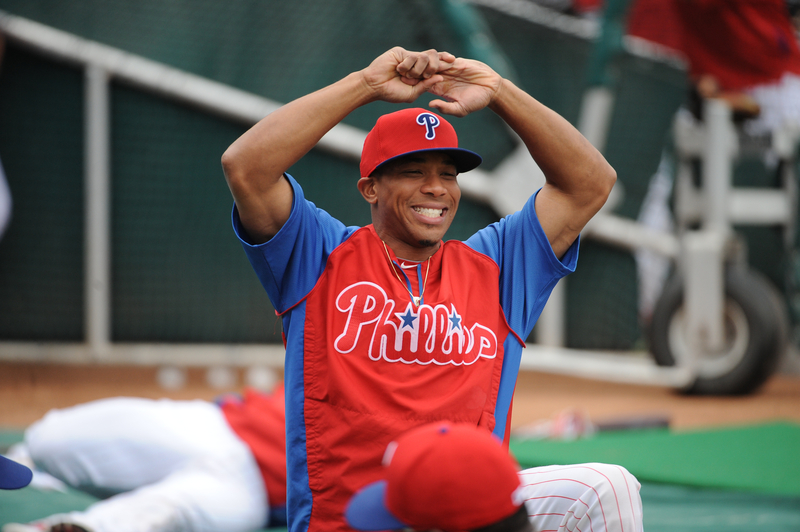 One more fun fact about the combined no-hitter: Ben Revere. Yes, him again! He drove in a career-high of 5 runs during that game, tied for 3rd-most ever by a player who’s team threw a no-hitter. Good times. 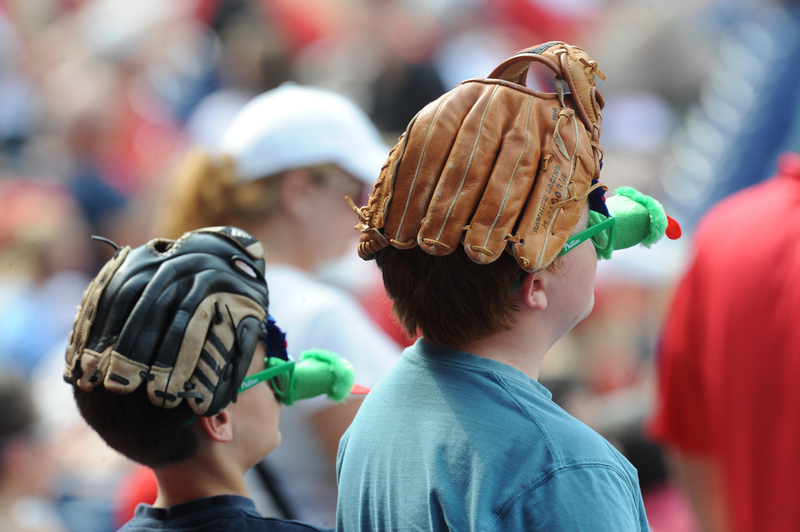 That’s all for now – see you next week for the final 3 innings/facts. Marlon took a gym selfie. Do werk, #ByrdMan. Do it. 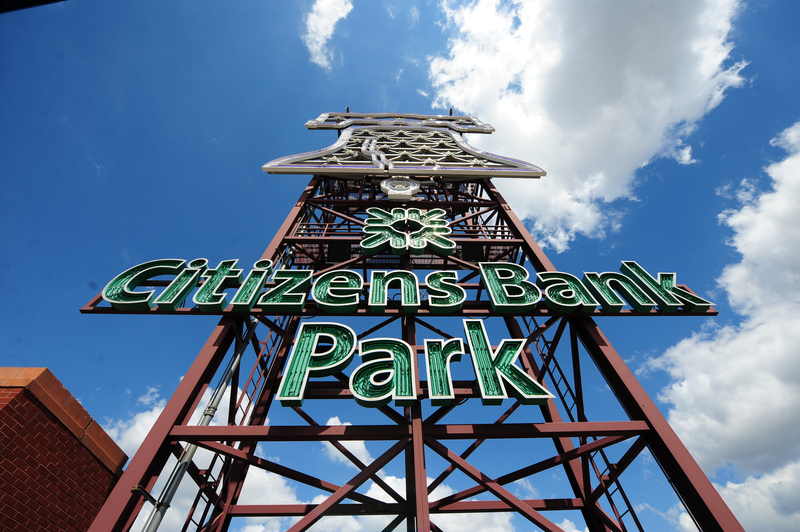 Yes, along with the lazy days of summer, the Phillies 2014 season is over. I know, we’re sad too. But looking back, there were some great moments and historic accomplishments made. Let’s remember them together? Great idea. We’ve narrowed down our top 9 moments…which we’ll refer to as innings because, well, we’re a baseball team and we can. 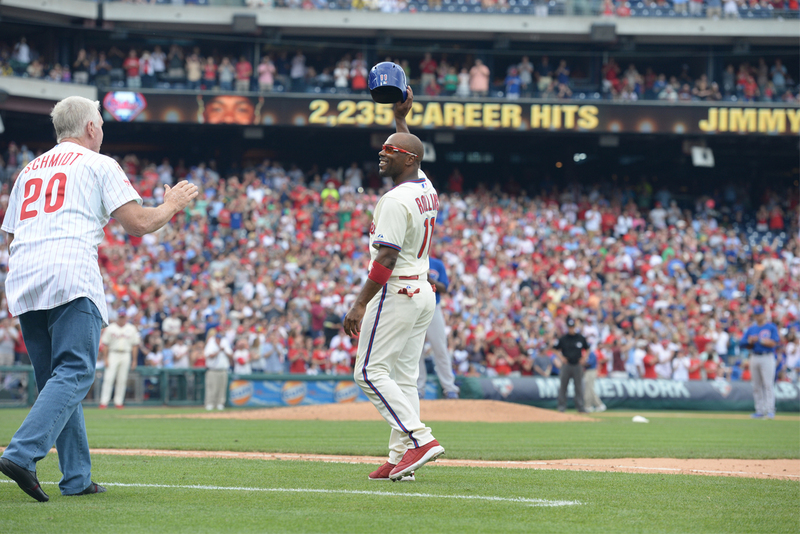 Jimmy Rollins is a class-act shortstop. He’s a gentleman and a scholar. And he broke a pretty significant record this season. 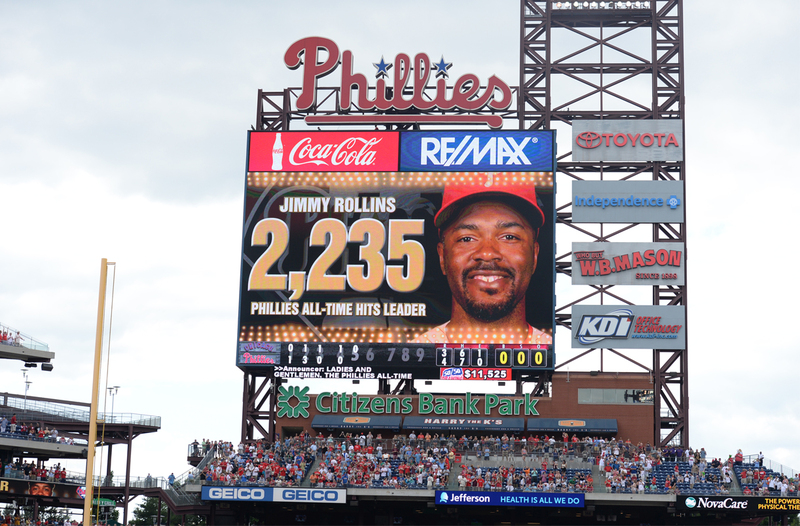 With a leadoff single in the 5th inning on June 14th, James Calvin Rollins surpassed a Phillies legend and Hall of Famer, Michael Jack Schmidt, to stand alone atop the Phillies All-Time Hits list with 2,235 during his Major League career. JRoll set the mark in his 2,015th career game and 8,330th at-bat. 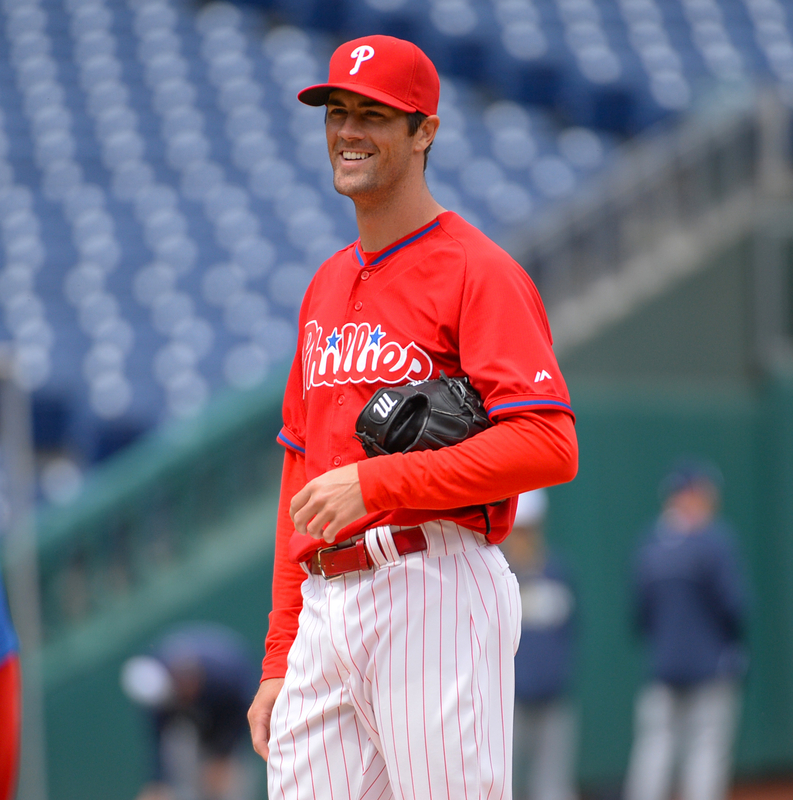 Cole Hamels reached the end of the 2014 season with a 2.46 ERA (56 earned runs and 204.2 innings pitched) which also happens to be the lowest mark of his 9-year Major League career. Not too shabby Hollywood. 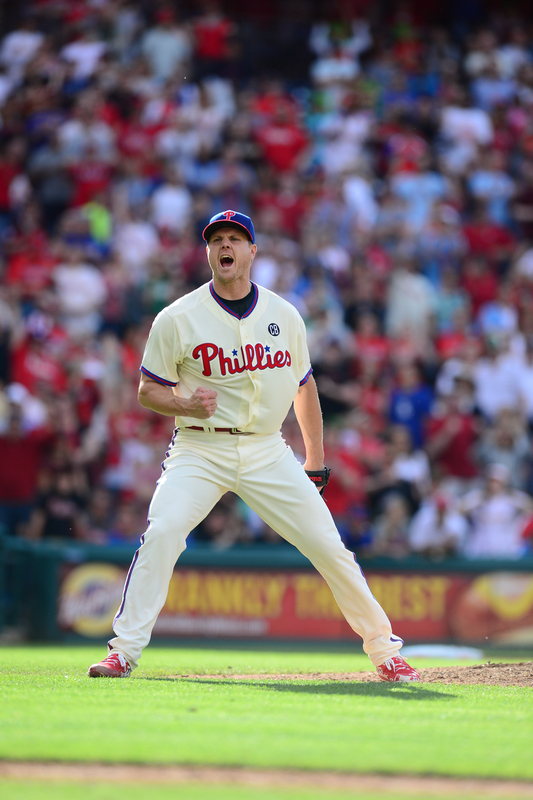 His 30th start came on the final day of the season, which gave him 30 or more starts in 7 straight seasons – this is also the longest streak by a Phillie since HOFer Steve “Lefty” Carlton did so in 9 seasons from 1972-80. Lefty’s on lefty’s. 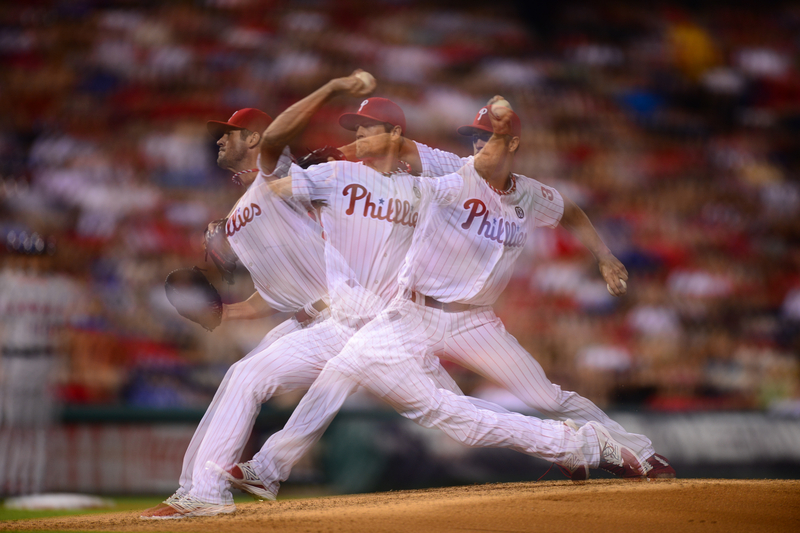 Are we finished praising The Hamels for his accomplishments? Not yet. Thanks to his 204.2 innings pitched, he now has 5 consecutive seasons surpassing the 200 innings mark. That’s a lot of innings, right? Nicely done, Cole. Nicely done. 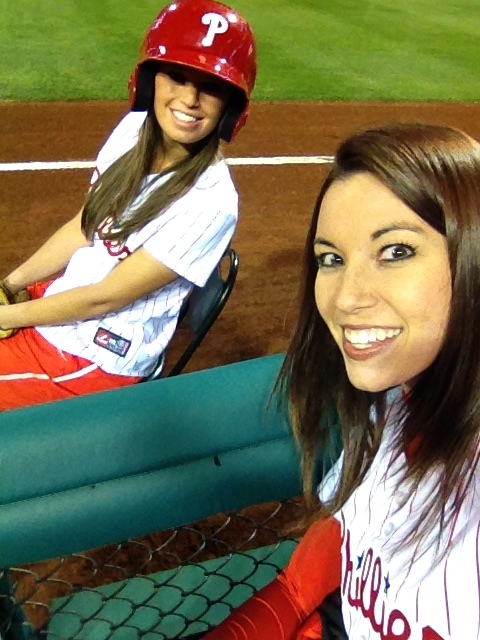 On August 5th, this wolf pack started in their 887th regular season game together in the field for the Phillies at shortstop, second base and first base, respectively. By doing so they set a new Major League record for most games started together in the field by 3 teammates, at those positions. Good work fellas. High five! OK, we’re pausing for this week and will continue the countdown next Friday with 3 more innings. 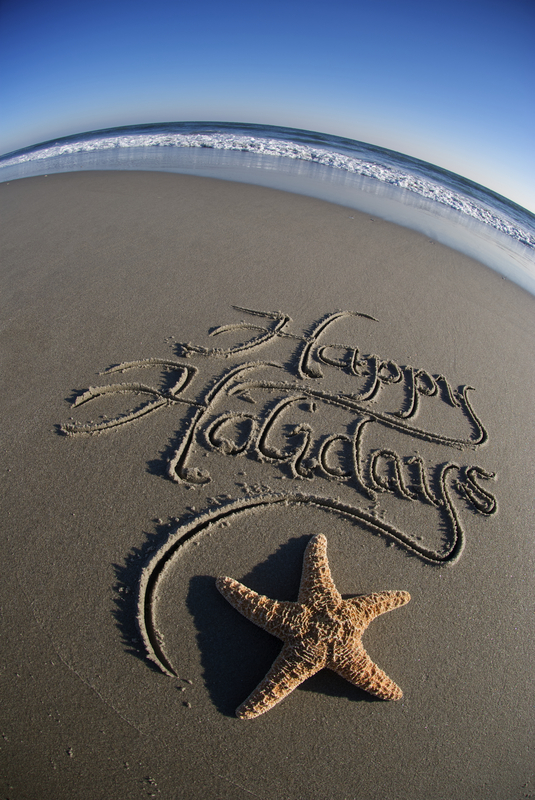 Have a good weekend and see you next week! Do you believe? Because we do. 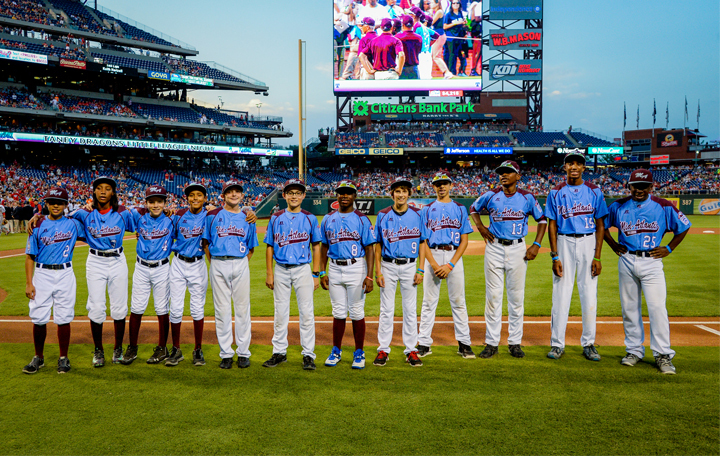 The 12 little leaguers who collectively stole our hearts and grabbed the nation’s attention during their Little League World Series run took center stage at Citizens Bank Park on Wednesday night prior to the Phillies vs Nationals game. 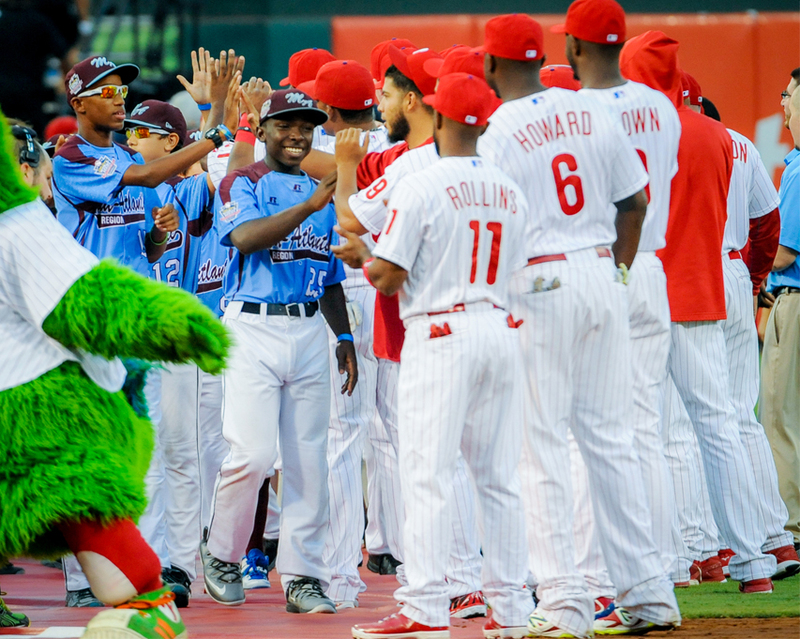 Here’s a recap of the Taney Dragons’ pregame tribute that capped off their historic and unforgettable summer. 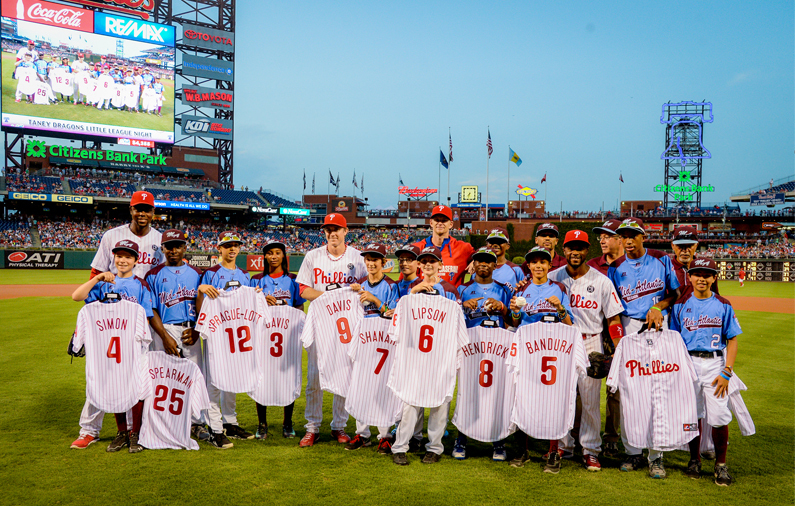 The Phillies honored the Taney Dragons not only for being Little League Baseball Mid-Atlantic Regional Champs but also a group of amazing athletes and, most importantly, great kids. 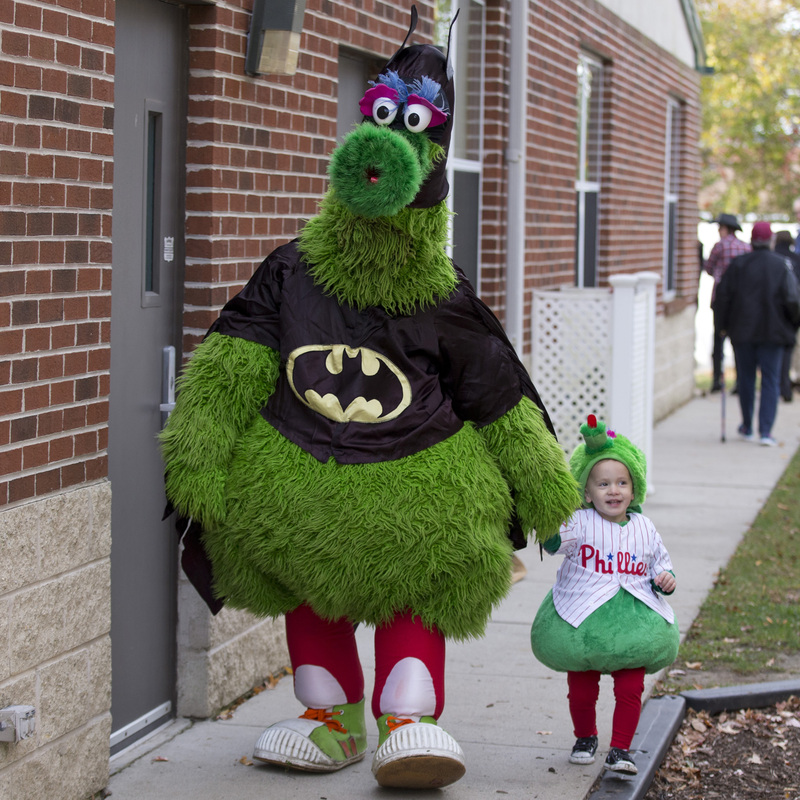 They made a pretty grand entrance into the ballpark. 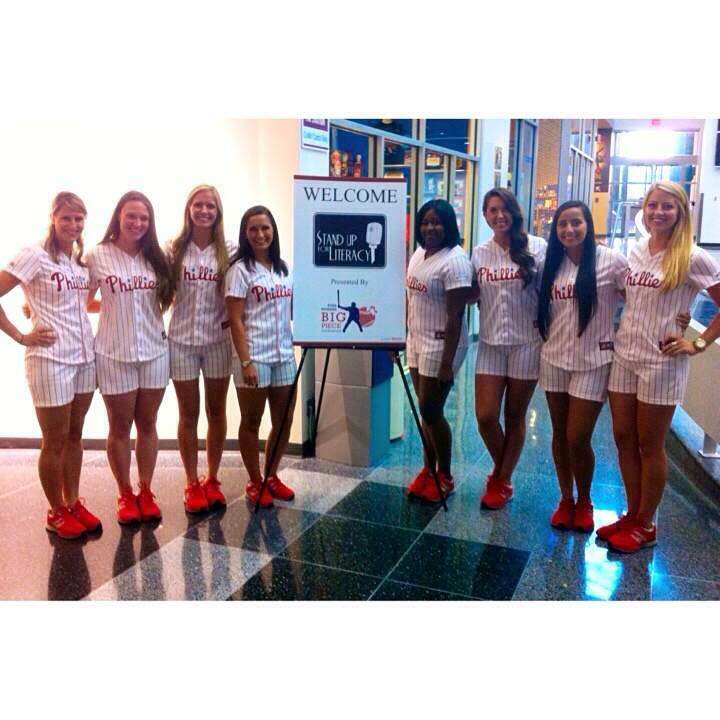 We don’t let just anybody walk down those magical center field steps and onto a red carpet, people. 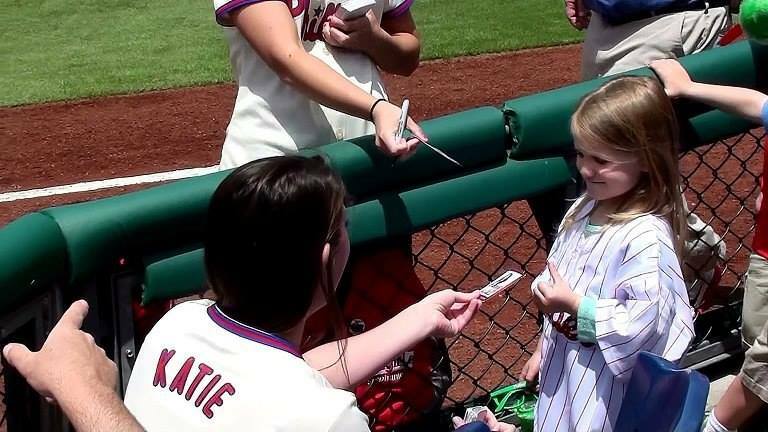 Tons of smiles as the Dragons were greeted by the Phillies. 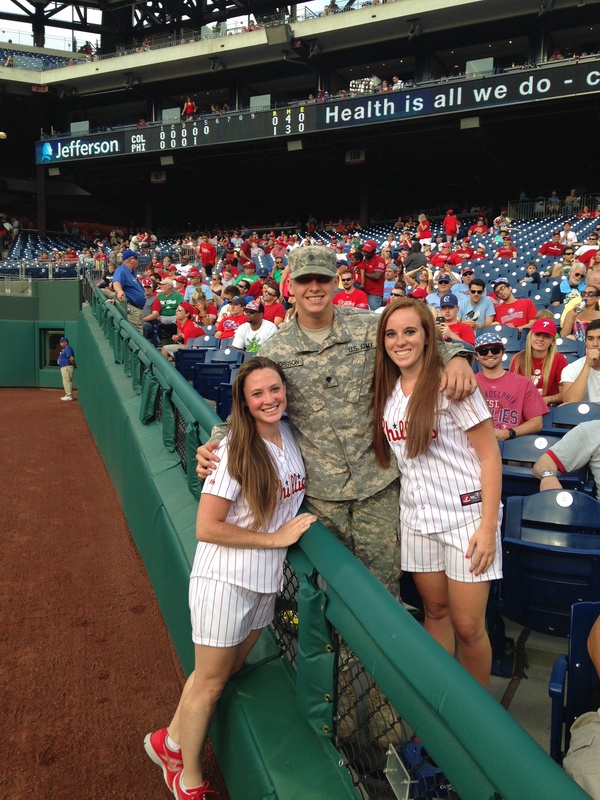 Maybe there are some future Phils in the mix? 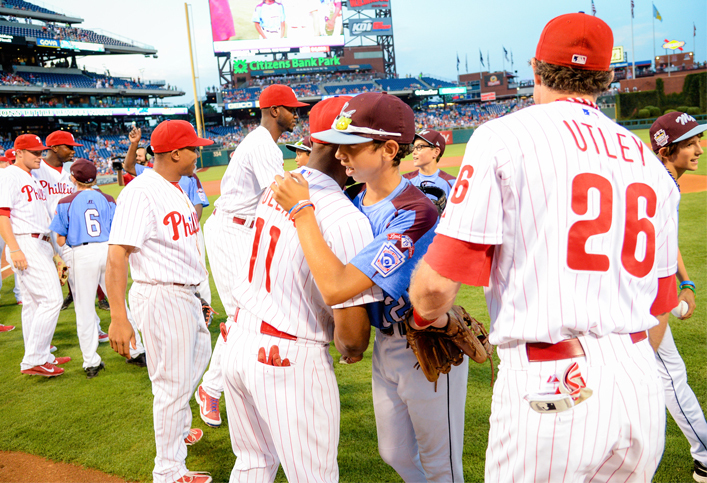 Ryan Howard, representing the Phillies organization, congratulated the kids and encouraged them to stop and take a look around – because the night belonged to them. We were honoring the incredible job they did as well as what their success meant to the city. 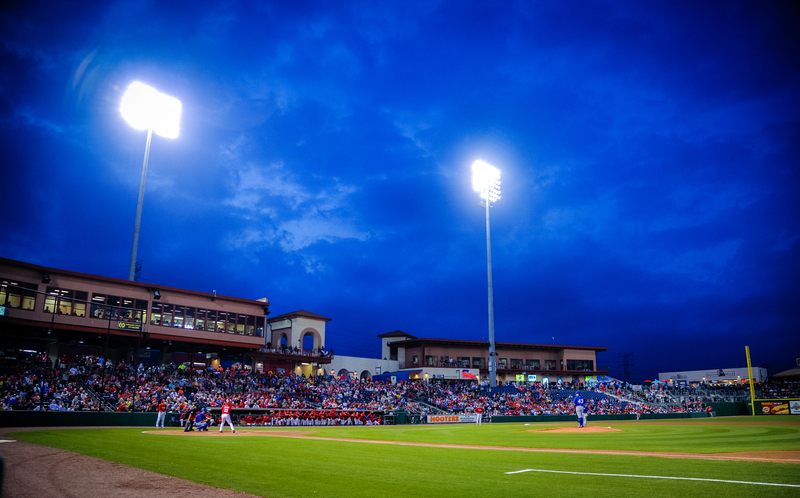 What’s a visit to a ballpark without a little victory lap jog around the warning track? Make that a run! 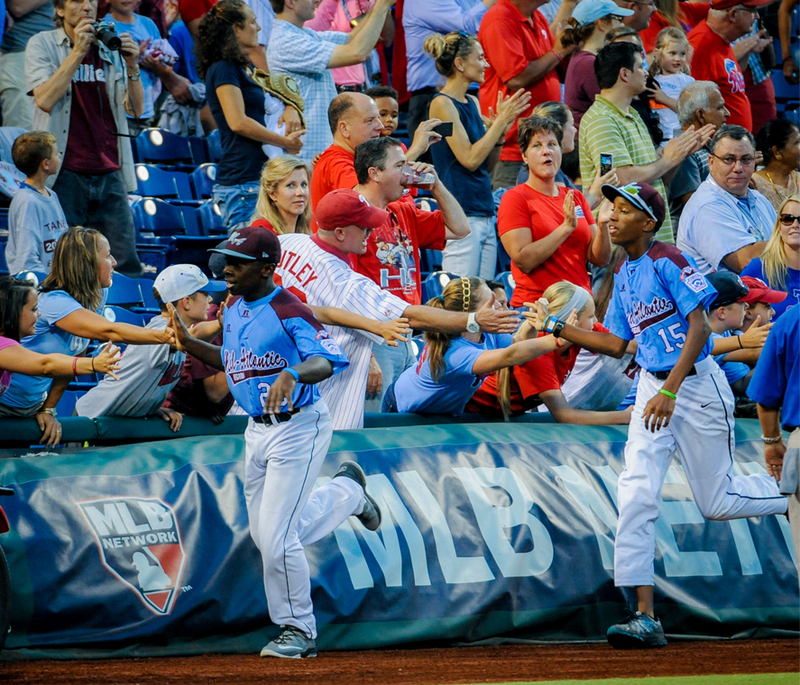 They are definitely not lacking speed on the Taney Dragons squad. 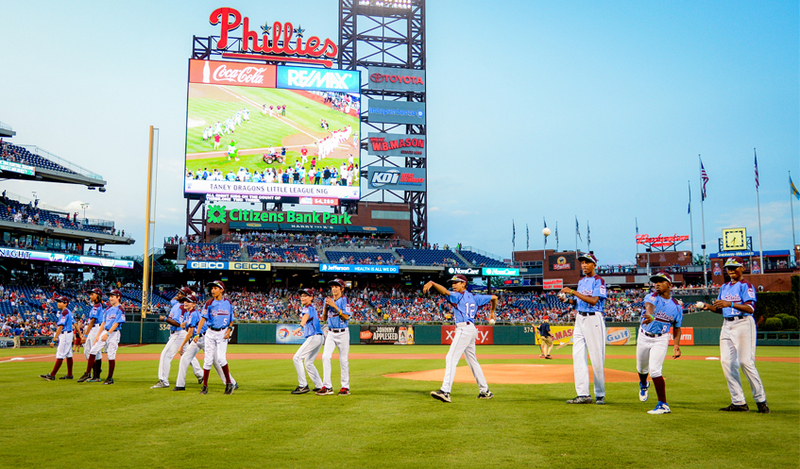 All 12 Dragons threw first pitches to members of the Phillies team. Pretty cool and unique moment, right? We love a good intermingling meet and greet involving some major league hugs. 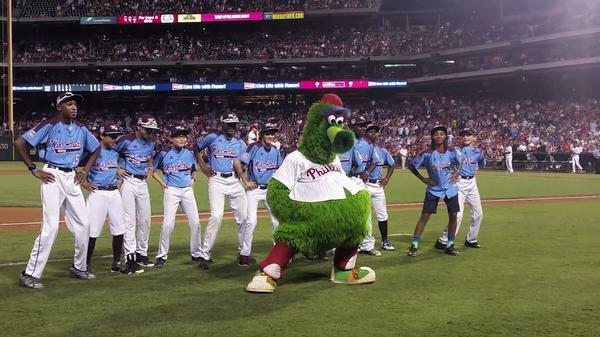 We really couldn’t be prouder of the Taney Dragons. 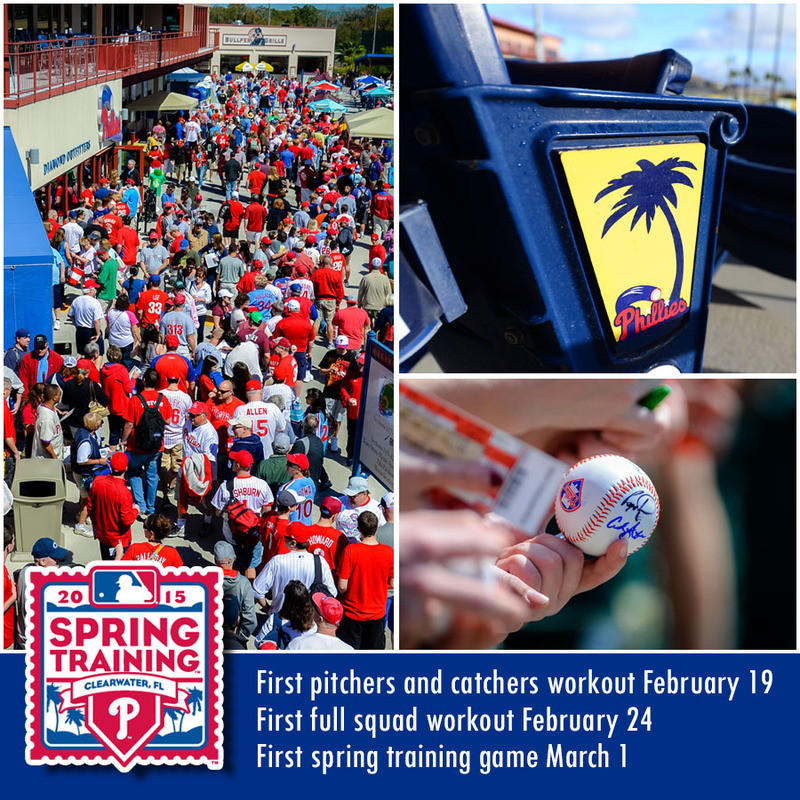 Didn’t make it to the ceremony and missed the live stream on phillies.com? Don’t worry. 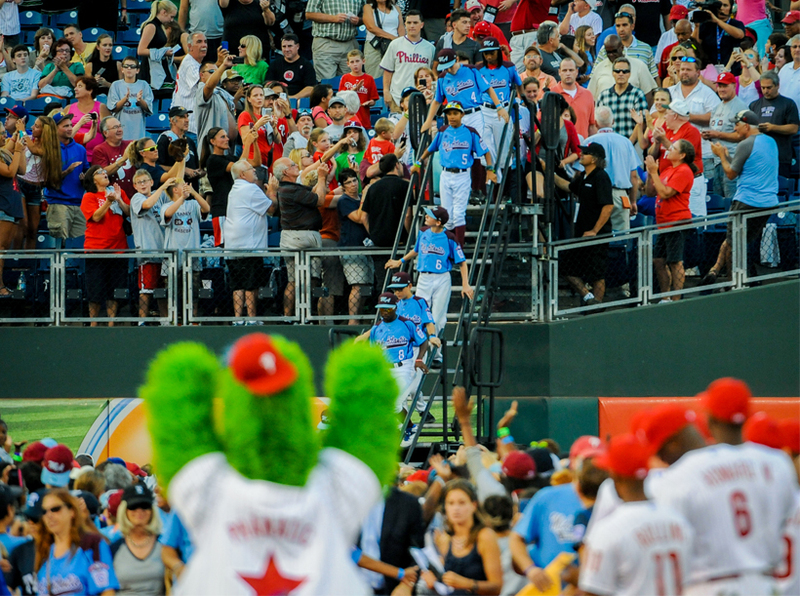 Here’s a full recap of the Taney Dragons Tribute! 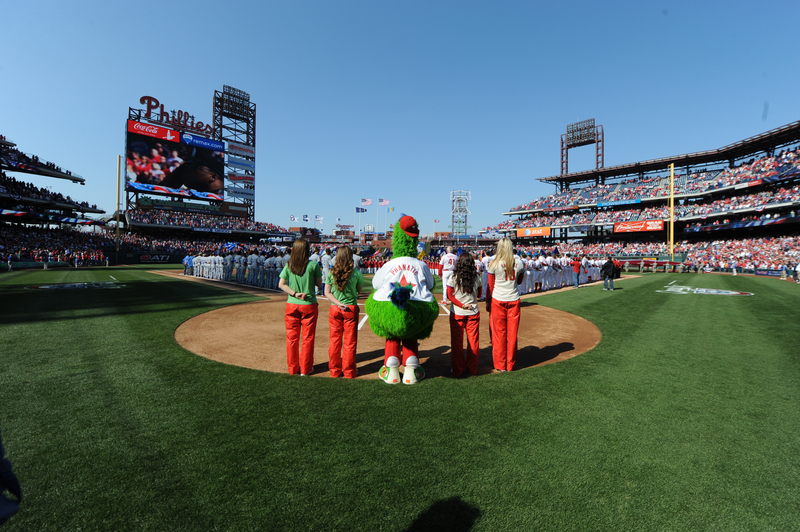 After parading down Broad Street and being honored in a pregame on-field salute, what’s next? 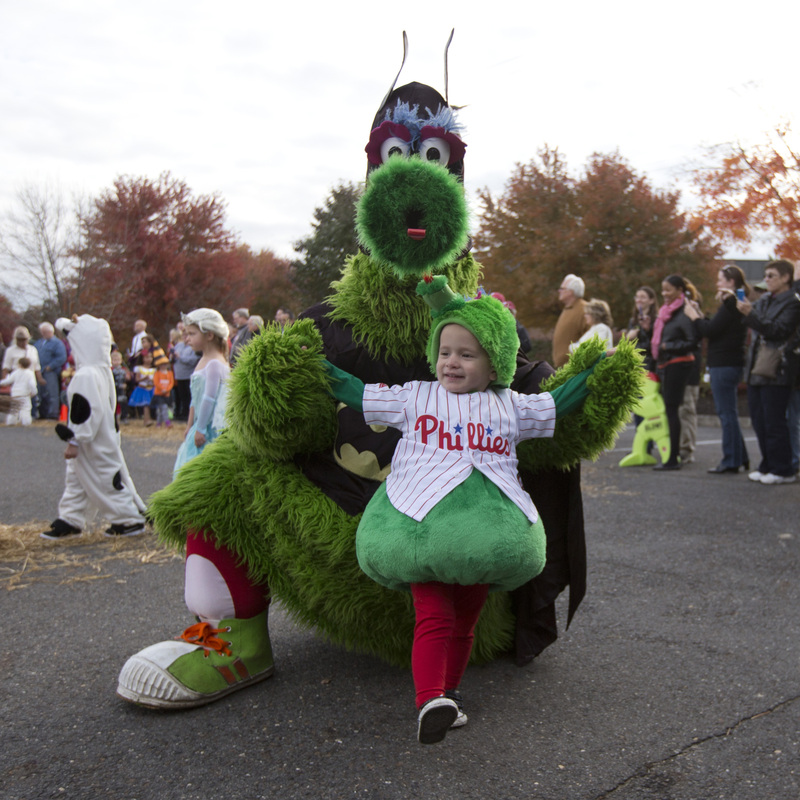 Dancing with everyone’s favorite mascot, of course! Action GIF … because why not? 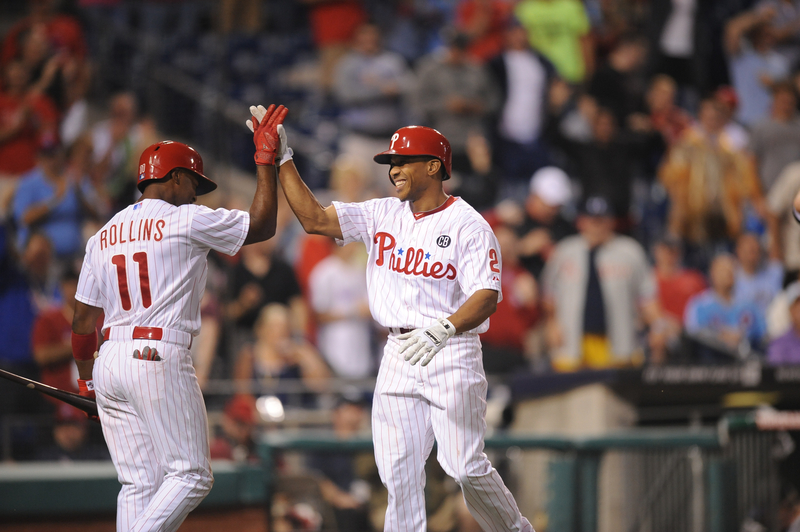 The Phillies won last night to complete the sweep of the NL East first place Nats. Could these tiny dragons have had an effect? Maybe.